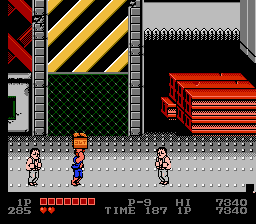 This is a hack of Double Dragon for the NES. 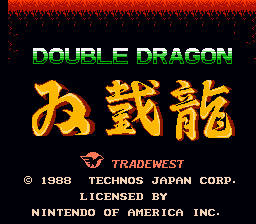 What I have been trying to do was make the NES version a bit more authentic to the Arcade original. 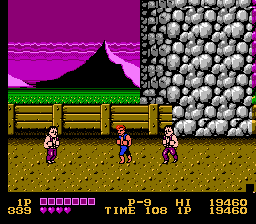 I changed a few graphics that I felt didn’t really fit in or changed them to look like something from the original. 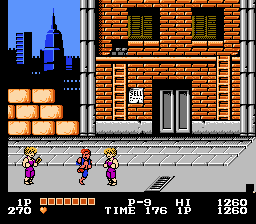 I also changed palettes to look like the original. 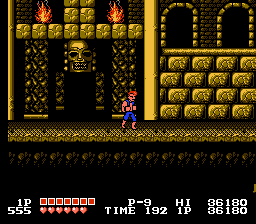 Probably the biggest palette change you will notice is the final level. It is white by default, but the arcade was goldish. So I changed the whole level to be that palette.